I've personally known model/actor/host Mikael Daez for almost three years now and from the day we met at the Cosmo Bash 69 event up until today, he has not changed as an individual and as a friend. His crazy showbiz schedule was the one which got busy to busier to the max is the only change. Mikael wants to live his life to the fullest and he wants to take as many people with him as possible. 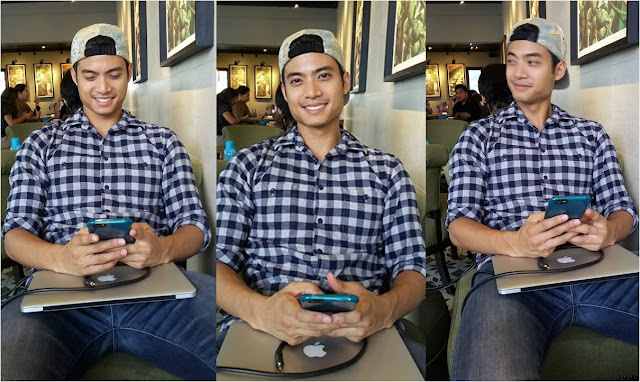 Using the power of social media, the Kapuso star is inspired to advocate the love for culture and shares his experiences through his own perspective by making video blogs --- aka vlogs. You can check out his YouTube channel, MrMikaelDaez as it takes pride on informative clips that can help anyone who is hungry for an adventure gets the best out of any trip. From finding the right restaurants to getting in the know for of the latest in art. Mikael is one step ahead to those who have been doing travel blogs. His key to paradise is spontaneity. Nice one, right? In one of his vlogs, he encourages his viewer to get rid of any plans and just do anything when the timing feels right. Hungry? Look around and choose what your heart and tummy tell you to. Up for coffee? Mikael is such a coffee lover so skip those local apps and just ask the locals where they would typically want to get a cup. The magic of spontaneity never disappoints, as he would believe. "I travel a lot and I thought videos were a cool way to preserve the memories and share the experiences. I want my audience to be aware of the destinations I've been to possibly pick up their own travel ideas. I think travelling is a scary or an intimidating idea in itself but I'm hoping my videos show that it's more fun than scary," shares Mikael. His YouTube channel is also one of his venues to speak to his supporters. Mikael does not hesitate to reply on the comments and answers their questions. This is his way to connect to them on a different level while promoting the advocacy of his videos. By doing this it also keeps him grounded with his fans. I tried verifying from him if he also does the personal editing of his vids? "Yes I do it all myself from the background music to other pop up effects. I'm still learning and when I'm not sure of one thing I try asking friends who are more familiar." In his own passionate way Mikael inspires people to explore more of the world and get a better understanding of different cultures. With one video at a time we can feel a bit more connected to the world and experience what it has to offer. One of my personal faves among his collection is his New York City trip with his mom to purchase the latest model of Nike. What a sweet mother-son bonding experience abroad! "That trip was also a gift to my mom since I started showbiz. It was fun!" Catch Mikael's travel videos here: http://www.youtube.com/user/MrMikaelDaez while his blog posts and exclusive photos are on mikaeldaez.com.